Untuk Info dan cara Order SEW HS175-7 Telescopic Hot Stick 100kV Taiwan Call : +6281283804273, wa : +6281932632003 dengan Harga Relatif Murah di Jakarta. Stick width: 53mm; Weight: 4.70kg. Complies with IEC 62193 safety standard. 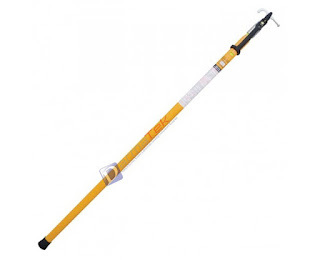 The HS-175 Telescopic Hot Stick 100kV Taiwan provides maximum flexibility and access for linesman needing to access electrical systems from a working distance. Its unique triangular design allows for easy operation without compromising strength and durability. The HS-175 has been designed to telescopically extend and retract into itself with integrated locking buttons. All sections are made from high grade electrical rated fiberglass.